When it comes to purchasing treats for the children, parents want to ensure that they are getting value for money as well as ensuring that their child is able to interact with the said toy for more than 30 seconds. Character Toys understand this and has released a brand new wave of Peppa Pig pre-school collection of toys that is full of surprises. 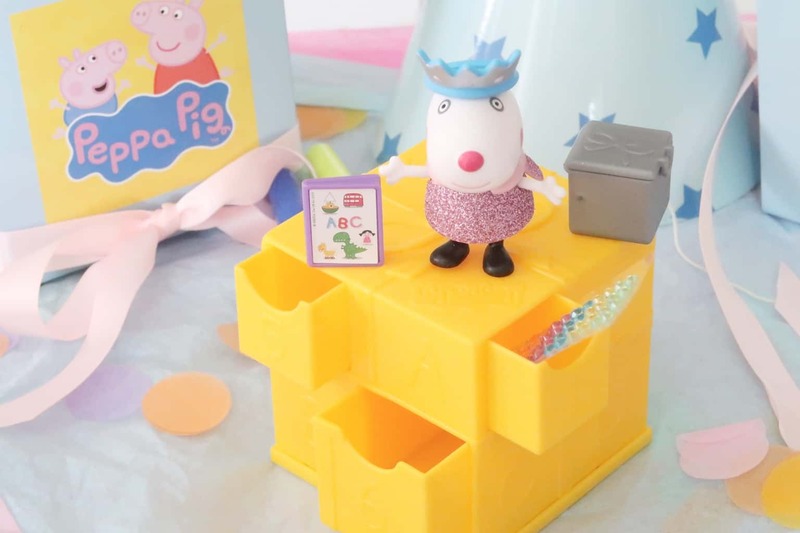 The Peppa’s Secret Surprise boxes are sure to spark interest in all Peppa Pig fans. Unwrap and reveal the cube-shaped present and discover the six hidden drawers in which secret blind bagged toys, plus a sticker/gem sheet. This is the surprise present that keeps on giving as the child discovers exclusive figures in glittery party outfits. The first series is party themed with the secret surprise boxes coming in yellow. With a new colour planned for the next wave of boxes in 2019. Peppa’s Secret Surprise – what’s included? 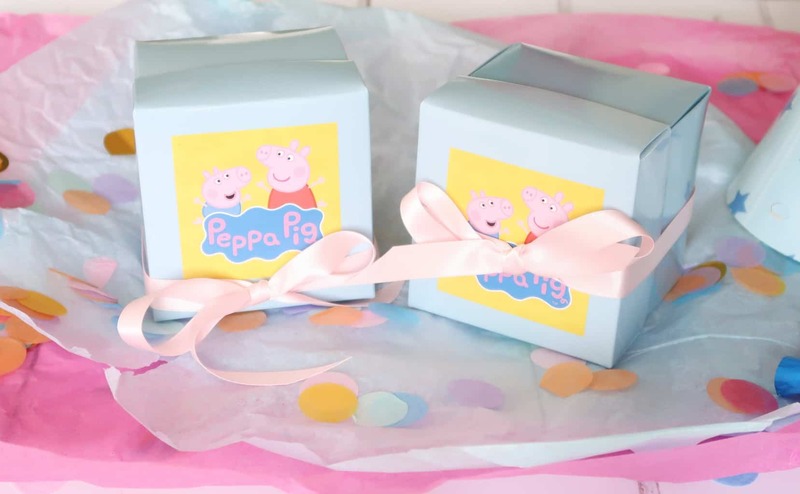 All three children have been Peppa Pig fans at one point or another, so when Peppa Pig Secret Surprise boxes arrived they were all eager to see what was hidden inside the beautiful packaging. The series one themed boxes are all centred around a party theme which makes it perfect for the upcoming festive season, or birthday treats. Priced at £9.99 they are slightly more than the average blind bag toy, however, these are so much more than the average blind bag toy. From unwrapping the initial secret surprise box to opening each of the six drawers to reveal the hidden treats. With the Peppa Pig character figure included can be played with using the accessories included or included within their current range of playsets they might already have in their toy box. Where Can I Buy Peppa’s Secret Surprise boxes? To kick-start your little one on the new Secret Surprise for Peppa Pig! 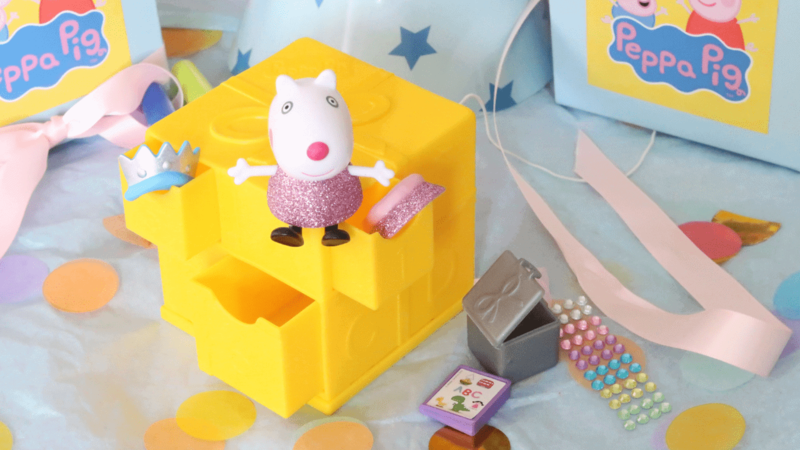 boxes, Boo Roo and Tigger Too is lucky enough to have a Secret Surprise for Peppa Pig! box to giveaway to one lucky reader. Secret Surprise for Peppa Pig! My grandson loves George best ! We like both Peppa and George! One daughter likes Mr Bull best and her twin sister likes Peppa most. George has always been her fave! My son loves George pig. My daughter loves Susie Sheep! George, as she also loves dinosaurs. My child’s favourite Peppa Pig character is Peppa. Peppa is her favourite character.